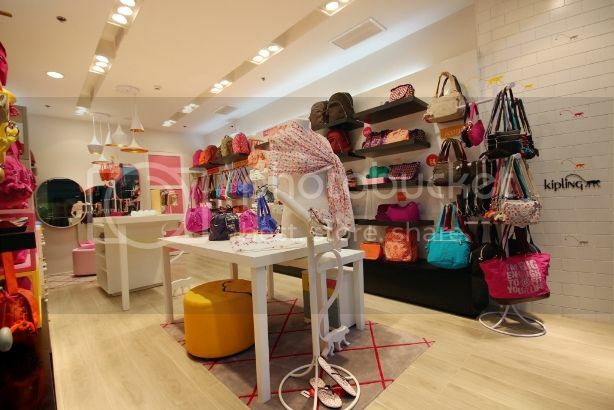 Bag lovers will now have more reasons to shop as The House of Kipling recently opened at SM Clark and North Point. Applying a domestic approach, the recently opened Kipling branches will make customers’ retail experience truly unforgettable. Warm, homey interiors will greet the guests as they enter these new Kipling stores. Inside, they’ll see an eclectic mix of natural and clean textures, surrounded by the signature tile wall with the iconic monkey print. The color palette plays along the shades of taupe and greys, with an occasional pop of orange and pink. Flemish-inspired wall tiles and “Kipling Monkey” table legs exude the playful spirit and the European heritage of the brand. The hottest collection of handbags, totes, carry-alls, backpacks and luggage in various shapes, sizes and prints are nestled on sleek ceramic and wooden frames, drawers and gondolas near clusters of colorful mirrors where customers can view themselves trying out their favorite Kipling bags. Bright, colorful and comfortable poufs are likewise available for customers who get a little tired from bag fitting and shopping. The new Kipling concept stores also feature a ‘Whimsy Wall,’ where ideas, inspirations, special moments, and messages can be posted and shared so that the stores and customers can connect and become an engaged community. 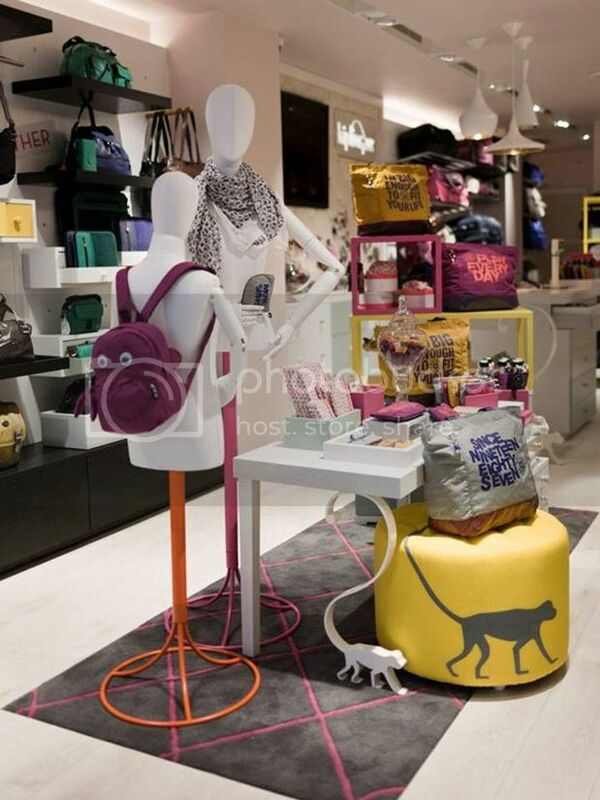 Now bag lovers will have a haven, a hang-out, and a home at these new Kipling concept stores! 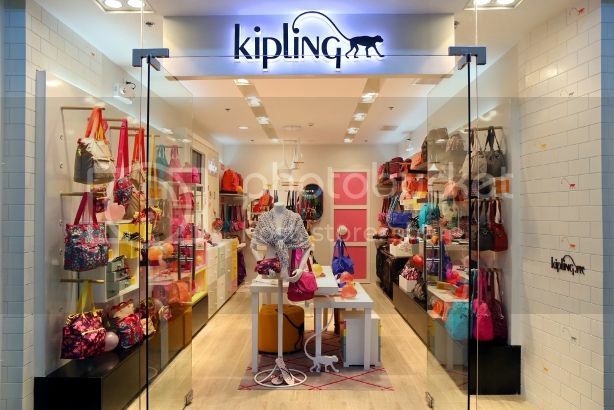 Come and visit Kipling’s branches at SM Aura in Bonifacio Global City, SM Clark in Pampanga and The District North Point in Talisay City, Negros Occidental. This entry was posted in Kipling, North Point, Press Release, SM Clark, The House of Kipling. Bookmark the permalink. Kipling bags are so stylish. The store is homey where you have a corner to try the bag that you like. Fashionable and stylish ladies items are really for sale. Good to purchase something unique for gifts.